Using C#, build a chat bot integrated with language understanding (LUIS). This chat bot uses the prebuilt HomeAutomation domain to quickly implement a bot solution. The bot is built with the Bot Framework 3.x and the Azure Web app bot. HomeAutomation LUIS app. The intents from this LUIS app map to the bot's dialog handlers. HomeAutomation.TurnOn Turn on the lights. When the LUIS intent HomeAutomation.TurnOn is detected, the bot invokes the OnIntent dialog handler. This dialog is where you'd call an IoT service to turn on a device and tell the user that the device has been turned on. HomeAutomation.TurnOff Turn off the bedroom lights. When the LUIS intent HomeAutomation.TurnOff is detected, the bot invokes the OffIntent dialog handler. This dialog is where you'd call an IoT service to turn off a device and tell the user that the device has been turned off. 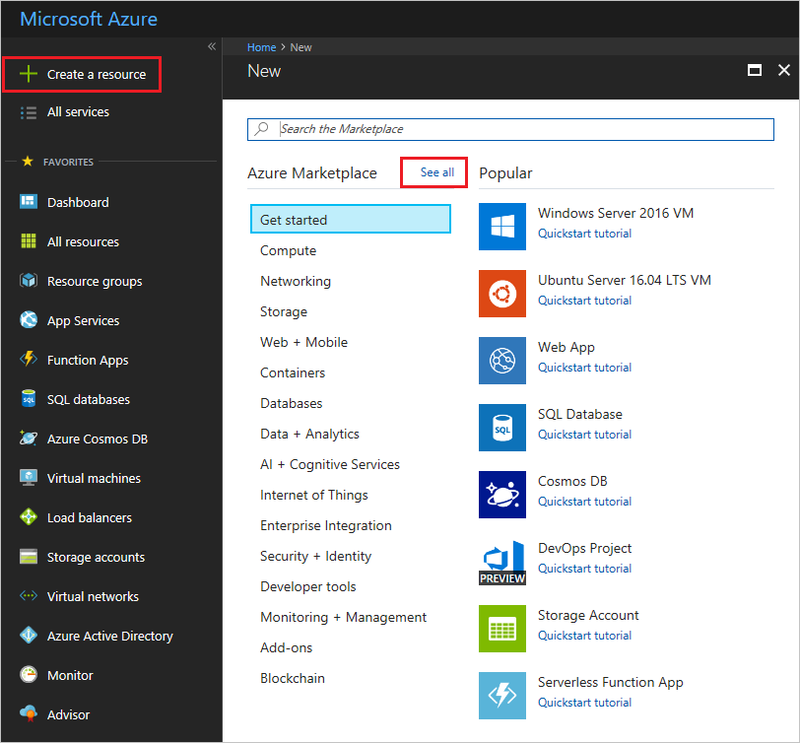 In the Azure portal, select Create new resource in the top left menu. In the search box, search for Web App Bot. In the Web App Bot window, click Create. In Bot Service, provide the required information, and click Create. 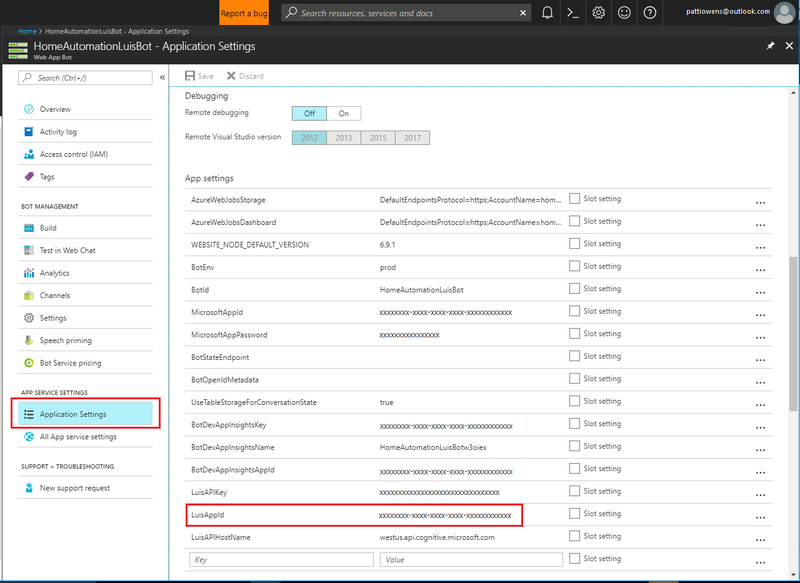 This creates and deploys the bot service and LUIS app to Azure. If you want to use speech priming, review region requirements before creating your bot. Set App name to your bot’s name. The name is used as the subdomain when your bot is deployed to the cloud (for example, mynotesbot.azurewebsites.net). Select the subscription, resource group, App service plan, and location. Select the LUIS App Location. This is the authoring region the app is created in. Select the confirmation checkbox for the legal notice. The terms of the legal notice are below the checkbox. Confirm that the bot service has been deployed. Click Notifications (the bell icon that is located along the top edge of the Azure portal). The notification changes from Deployment started to Deployment succeeded. After the notification changes to Deployment succeeded, click Go to resource on that notification. This web app bot creation process also created a new LUIS app for you. It has been trained and published for you. Confirm that the bot has been deployed by selecting the Notifications checkbox. The notifications changes from Deployment in progress... to Deployment succeeded. Click Go to resource button to open the bot's resources. Once the bot is deployed, click Test in Web Chat to open the Web Chat pane. Type "hello" in Web Chat. The bot responds by saying "You have reached Greeting. You said: hello". This response confirms that the bot has received your message and passed it to a default LUIS app that it created. This default LUIS app detected a Greeting intent. In the next step, you'll connect the bot to the LUIS app you previously created instead of the default LUIS app. Open Application Settings and edit the LuisAppId field to contain the application ID of your LUIS app. If you created your HomeAutomation LUIS app in a region other than West US, you need to change the LuisAPIHostName as well. The LuisAPIKey is currently set to your authoring key. You change this to your endpoint key when your traffic exceeds the free tier quota. If you don't have the LUIS app ID of the Home Automation app, log in to the LUIS website using the same account you use to log in to Azure. Find the LUIS app you previously created, that contains the intents and entities from the HomeAutomation domain. In the Settings page for the LUIS app, find and copy the app ID. Make sure it is trained and published. If you delete your app ID or LUIS key, the bot will stop working. Click Build and then click Open online code editor. Right click build.cmd and choose Run from Console to build the app. There are several build steps the service completes automatically for you. The build is complete when it finished with "Finished successfully." Remove the three intent attributes and methods for Greeting, Cancel, and Help. These intents are not used in the HomeAutomation prebuilt domain. Make sure to keep the None intent attribute and method. In the code editor, right-click on build.cmd and select Run from Console. The code view is replaced with a terminal window showing the progress and results of the build. An alternative method to build the bot is to select the bot name in the top blue bar, and select Open Kudu Console. The console opens to D:\home. 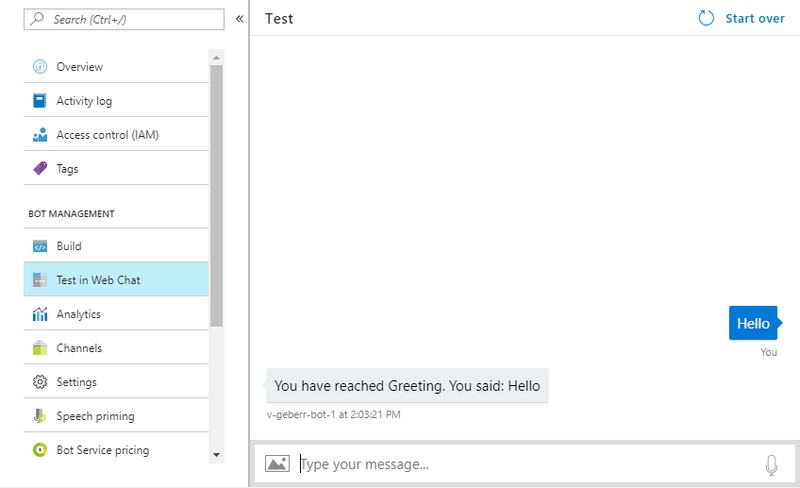 In the Azure portal, click on Test in Web Chat to test the bot. Type messages like "Turn on the lights", and "turn off my heater" to invoke the intents that you added to it. You can retrain your LUIS app without any modification to your bot's code. See Add example utterances and train and test your LUIS app. If your bot isn't working, download the project to your local machine and continue debugging. Learn more about Bot Framework and the 3.x and 4.x SDKs. Add the LUIS intents and Bot service dialogs for handling Help, Cancel, and Greeting intents. Remember to train, publish and to build the web app bot. Both LUIS and the bot should have the same intents. See more samples with conversational bots.